Football and healthy eating do not go hand in hand. In December, we scored dream seats at a Redskins vs. Rams game from the Veteran Tickets Foundation. We sat right on the sideline and had access to the stadium club level. We walked around the entire stadium looking for some healthy food choices, and even with special access, we only found one small little kiosk that offered some wraps, salads, and fruit to go along with the wine that was their bigger seller. 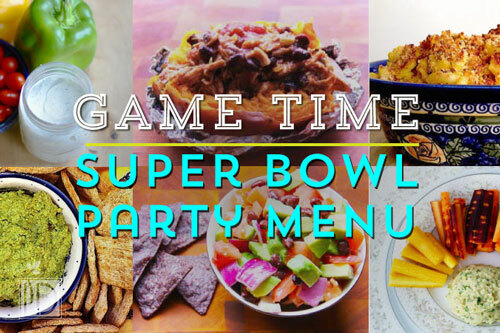 If you’d like to provide some healthy options at your Super Bowl extravaganza, I’ve collected some great options from InDependent team members and contributors, as well as a couple standout recipes from military spouse bloggers. This is a nice collection of recipes that Meg put together last year. 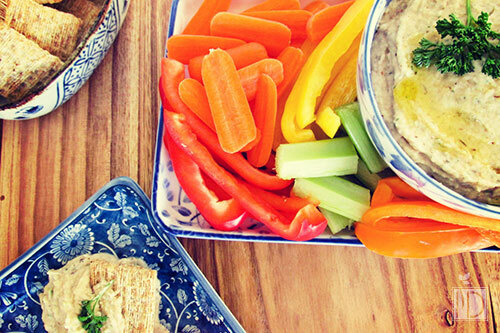 There’s a nice selection of dips and entrees for you to choose from. This is an easy appetizer to have ready when guests arrive because it doesn’t need to be hot or cold. 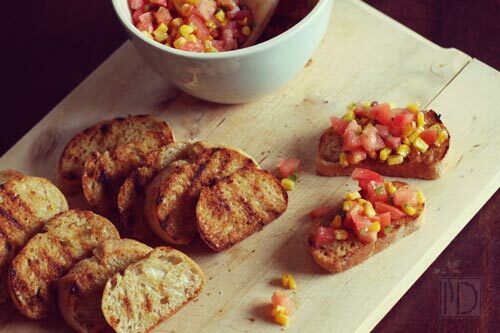 Just serve the bread on the side so it doesn’t get soggy. You could also serve the topping on top of cucumber slices for a fresh variation. This makeover of a classic pairing, offers you traditional game day food without the deep-fat fryer or sneaky sugar in ketchup. This is my go-to salad when I need to take a dish to a party. It’s a healthy meal in a bowl. I load up on this first so that I’m not as tempted to gouge on all of the other party fare. People always ask for the recipe. Bren waved her magic wand at two classic salad dressing flavors — ranch and Italian — and turned them into delicious dips, perfect for guilt-free snacking during the big game. This is an entree that basically makes itself in the slow cooker while you’re getting other things done. Kristen Smith shares her healthy eating and weight loss efforts while juggling the pulls of family obligations and career on If The Saddle Fits. 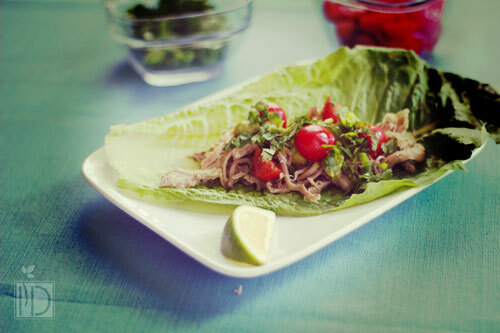 If sloppy joes are a favorite in your house, try out Leslie’s lettuce boats. This was a recipe she turned to when she really started cleaning up her eating habits, and they have been a favorite in her house ever since. Start with a protein base and then add the toppings of your choice. I offer a lentil/walnut option if you’d like a plant-based option. If it’s too cold to fire up the grill, you can make these kabobs in the oven. Offer them as a plant-based option, or add the Roasted Garlic Bison Meatballs. To make these extra no-fuss, just set out all of the ingredients and let your family and guests roll their own. Offer several protein choices to please everyone. These are so stinking cute! They’re sure to be a show stopper. Brittney is a Marine wife who loves Jesus, writing, and all forms of art. She considers herself an amateur photographer as well as an amateur wife, and her favorite pastime is cuddling with her husband and their sweet kitten. Finger foods are aways a favorite when watching TV, so pick your favorite fruit or crackers and slather with my dressed up sunflower seed butter. 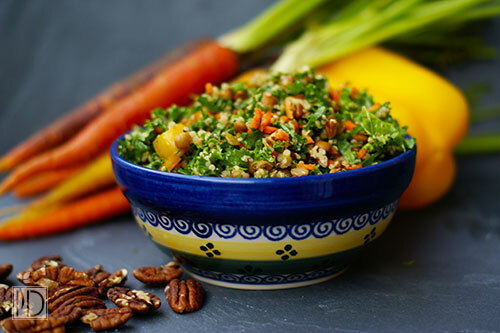 What are some of your favorite go to healthy food options when watching the BIG game?